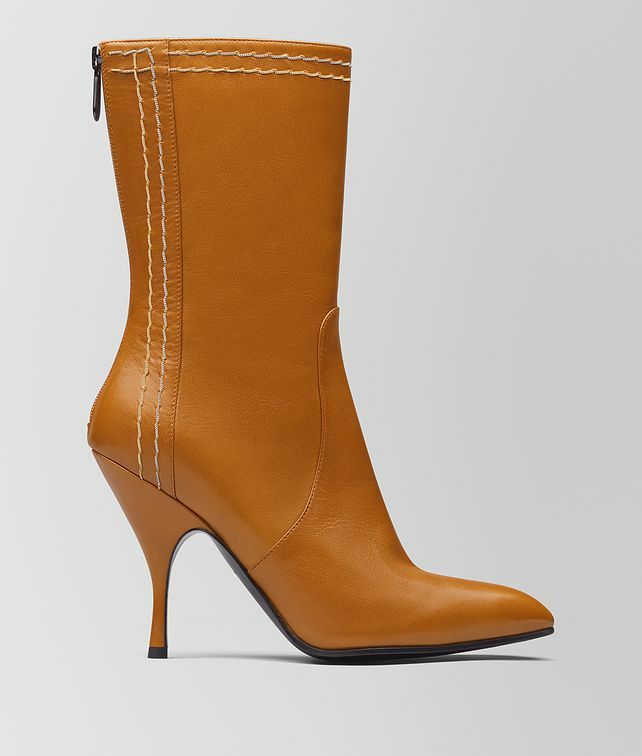 This sleek boot is a perfect complement to the season’s bold looks, inspired by the fearless style of New York women. It’s made from smooth kid leather with a pointy toe and curving, sculptural heel. A delicate gold and silver chain embroidery nods to Manhattan’s sparkling skyline and adds a subtly striking touch. Finished with a back-zip closure.